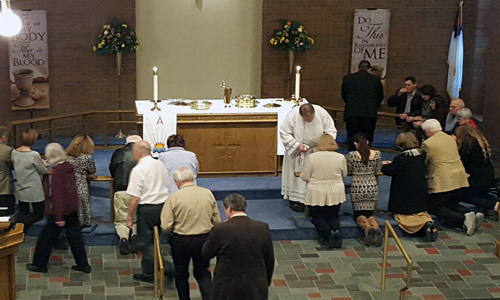 Holy Communion is celebrated at every Sunday service. Click here to download an article concerning Holy Communion. 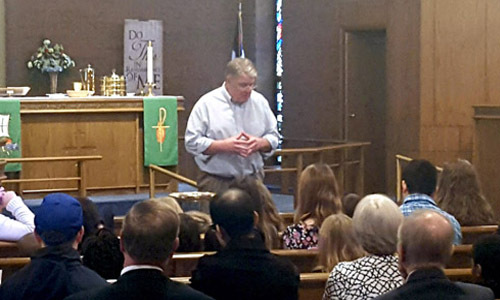 The Sanctuary Choir rehearses weekly, and sings approximately two-three times per month. Material ranges from unison hymn stanzas to four (or more! )-part choral anthems -and everything in between. Anyone who enjoys singing is welcome to join-there are no auditions, and the ability to read music is not required. Below is an example of a musical offering as sung by our men's choir on March ​24, 2019. The Handbell Choir rehearses weekly and rings approximately 1- 2 times per month. 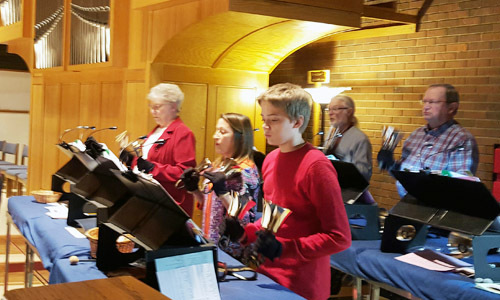 Lord of Life owns three octaves of Schulmerich handbells, and in addition to bell anthems, the choir has begun to enhance the liturgy as well, which adds a nice color to the service. Music-reading ability, while helpful, is not required. 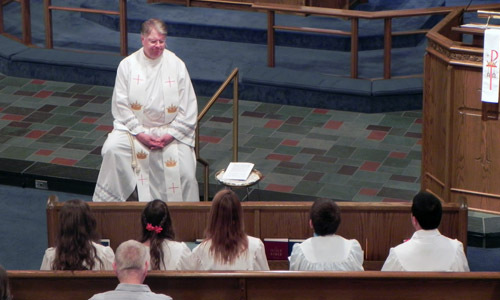 ​​As part of our Confirmation instruction, students ring in a Handchime Choir. An easier instrument for the novice and often smaller-handed ringer than handbells, the chimes provide an opportunity for the students to get a taste for music, leadership, and collaboration. ​lnstrumentalists are also an important asset to our worship. lf you play an instrument and would like to participate, please contact Elin Gomez, and she will help to include you in a manner that would best fit your ability. 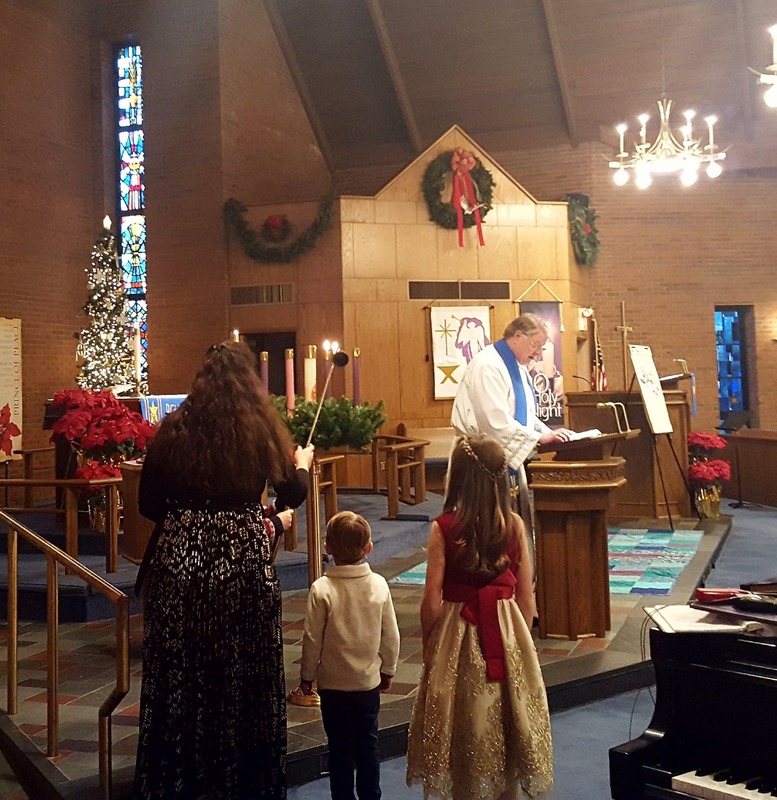 ​On Christmas Eve the entire congregation sings Silent Night by candle light assisted by our Handbell Choir. Such a wonderful setting and atmosphere to be a part of. Take a listen below. On the downstairs level of the Sanctuary there is an acoustic Boston grand piano. While it is a little grand (the length is only 5' 1-.5"), the piano produces a full, resonant sound that is joy to play, both for congregational singing as well as instrumental music. Upstairs in the balcony, there is another piano. This one is an electronic Celviano, and is widely useful for all sorts of accompanying, from solo voice/instrument to ensemble to full choir to congregational singing. Also located in the balcony is the organ. Built by Martin Ott and installed in 2005, the pipe organ has only 1-8 stops over the two manuals and pedalboard, but with full couplers and the acoustics of the Sanctuary, the organ has plenty of power. 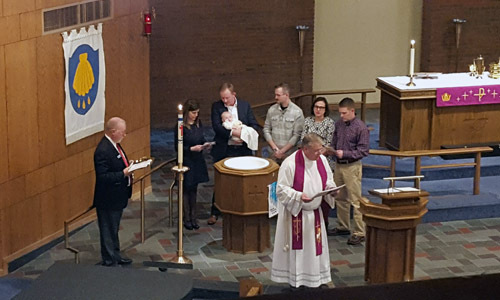 Angela Bjornstad, an independent sign language interpreter, offers her services to Lord of Life during our 10:30 am services, as well as special events. She serves Lord of Life to build a bridge and provide equal access to both the deaf/hard-of-hearing and the hearing communities. 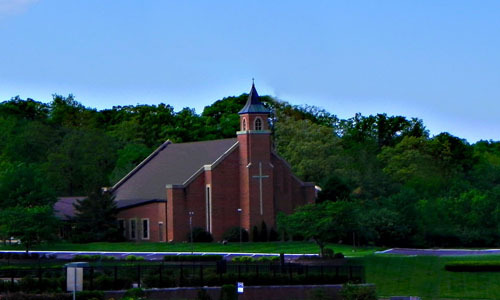 Angela has studied at both William Woods University and Southwestern Illinois College and is currently continuing her contextual education at Eden Seminary. She also drives from Illinois to provide this service to Lord of Life.